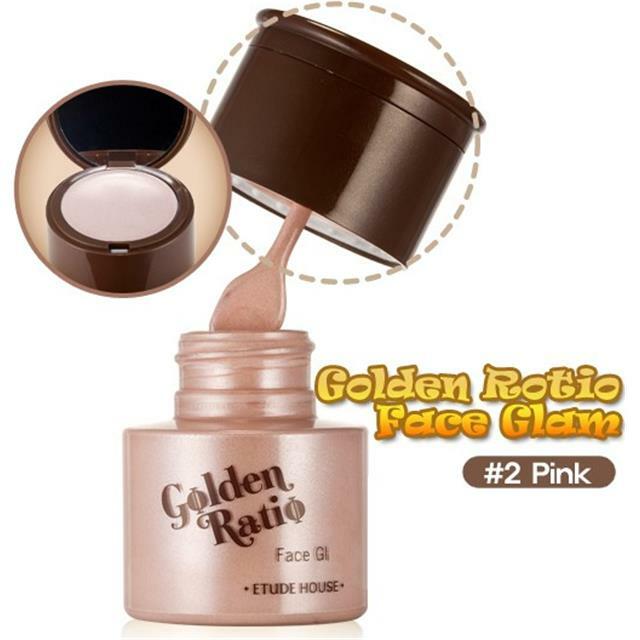 2in1 liquid and cream highlighter. 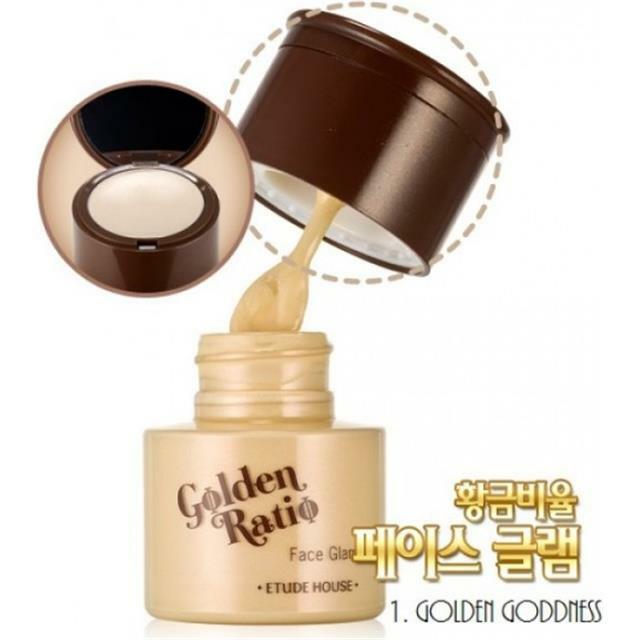 Etude House Golden Ration Face Glam 2in1 highlighter in liquid form is used for accentuating high face features, as it gives a very pretty glow to the face. It can be applied with fingers, usually on brow bones and cheek bones. There are two shades avaliable – gold and pink. 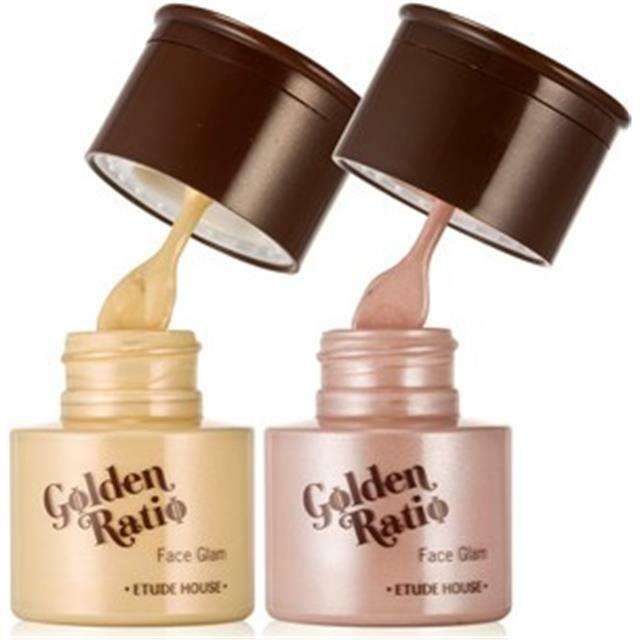 The gold one suits those with darker skin or yellow undertones, while the pink one is more suitable for light skin with pink undertones. The highlighter in cream form is intended for brightening the under eye area.